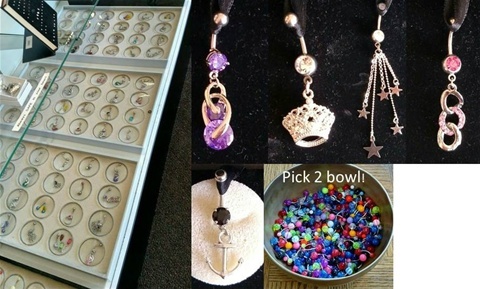 I carry all types of jewelry; earrings, navel jewelry, nose jewelry, some gauges, cartilage jewelry, etc…If you would like to drop by to make a jewelry purchase, please give me a call ahead just to make sure I am not in the middle of tattooing. I will help you with a convenient time to drop by to make your purchase! I also carry a variety of other items. I carry a small selection of pipes and dug outs. I also carry piercing aftercare spray and tattoo aftercare ointment.